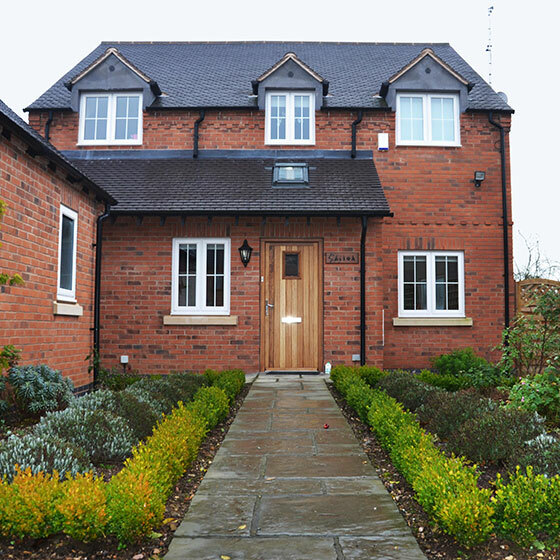 Architectural Vista Designs was instructed to design a 4 Bedroom family dwelling on a Plot of land in Earl Shilton. Our work included the design, Planning submission / Consultation, Landscaping and detailed design. The proposed dwelling was fenestrated to reflect the local vernacular with a traditional style of architecture. The space and planning of the dwelling maximised the land within the boundary and the internal layouts created a free and flowing family home, which is suitable for a modern day living.